ODFW technicians decontaminate a boat at an inspection station last year. SALEM, Ore – Aquatic invasive species watercraft inspection stations open March 1 at the Ashland Port of Entry on northbound I-5 and March 3 at the Ontario rest area on northbound I-84. 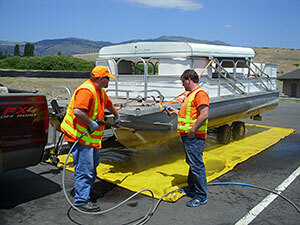 Watercraft inspection stations in Lakeview, Klamath Falls and Gold Beach open in mid-May. “It’s very important that people stop at these stations and get their boats inspected. It’s our first line of defense in keeping aquatic invasive species such as mussels, plants and snails out of Oregon and the Pacific Northwest,” said Rick Boatner, Invasive Species Coordinator. 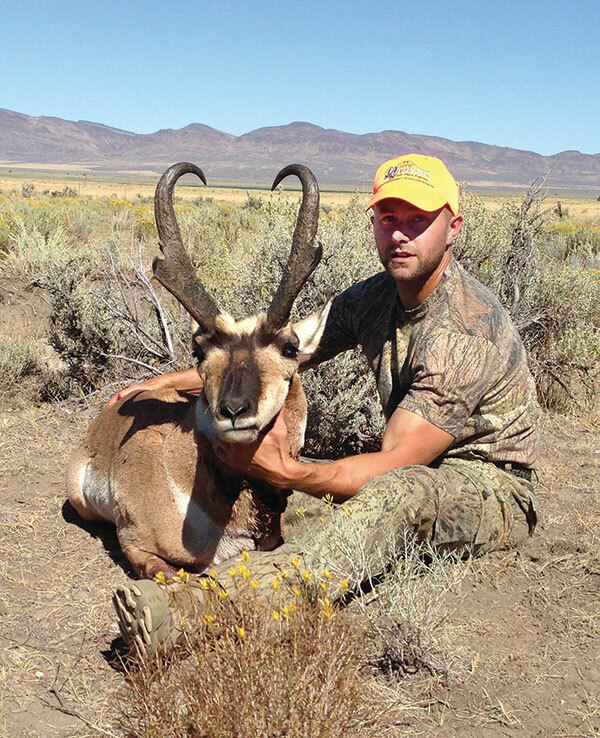 “Stopping for a watercraft inspection takes just five to 10 minutes in most cases. You’re protecting Northwest waters and preventing yourself from possibly receiving a $110 fine for by-passing a check station,” Boatner said. Invasives such as zebra and Quagga mussels can be difficult to spot – they range in size from microscopic to up to two inches, and attach themselves to many areas on boats that are hard to see. They can also live as long as 21 days out of water. New Zealand mud snails are also tiny, just three to six millimeters long and easily attach themselves to boots, waders and fishing gear. In 2015, ODFW technicians inspected 12,954 watercrafts and intercepted 12 with Quagga or zebra mussels and 270 with other types of aquatic invasives such as Eurasian milfoil and brown mussels. Watercraft with Quagga or zebra mussels came from Lake Powell, Lake Mead, Lake Havasu, Lake Erie, Lake Michigan, Lake Ontario and the Fox River in Illinois.